Amy Bishop is escorted by sheriff's deputies at the Madison County Courthouse in Hunstville, Ala. on Tuesday. HUNTSVILLE, Ala. — A former professor accused of killing three people and wounding others at the University of Alabama at Huntsville on Feb. 12, 2010, has pleaded guilty to murder, WAFF reported Tuesday. 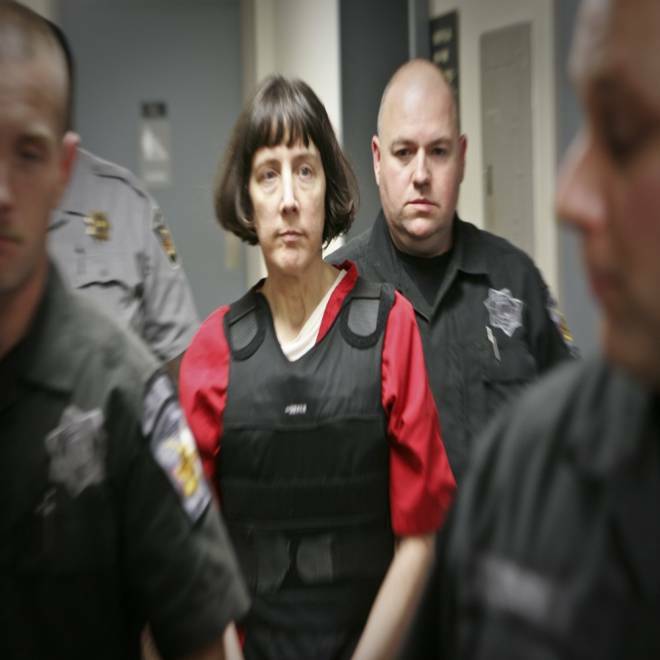 Amy Bishop, 47, entered the plea at a Madison County Circuit Court in a deal that was expected to result in a sentence of life in prison and avert the death penalty, the Huntsville Times said. Judge Alan Mann had imposed a gag order on both sides until after the trial’s completion, so it was not immediately clear how the plea agreement came about. Bishop's plea confirmed the facts of the case, the Times reported, citing prosecutors. It said the Harvard-trained biology professor stood up during a faculty meeting and began firing with a 9 mm pistol, killing biology Professors Maria Ragland Davis and Adriel Johnson, and Biology Department Chair Gopi Podila, and wounding professors Joseph Leahy and Luis Cruz-Vera and staff assistant Stephanie Monticciolo. Bishop was captured after attempting to flee, according to the Times. WAFF reported that Bishop will still have a jury trial beginning Sept. 24 as required by Alabama law. Earlier reports said that Bishop, a mother of four, had recently been denied tenure by the university.